The students and the teachers of SMAK Baleriwu, Danga of Nagekeo Regency who attended the writing training on February 09, 2016. 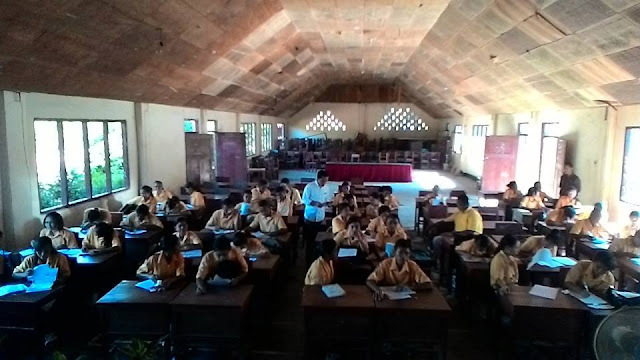 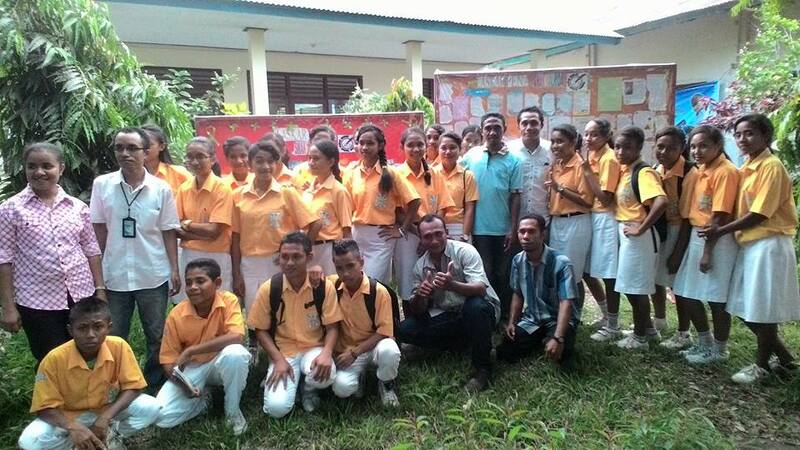 After held a popular scientific paper writing training in SMAN 1 Golewa Barat of Ngada Regency, the formation division team of Media Pendidikan Cakrawala NTT moved to Nagekeo Regency. 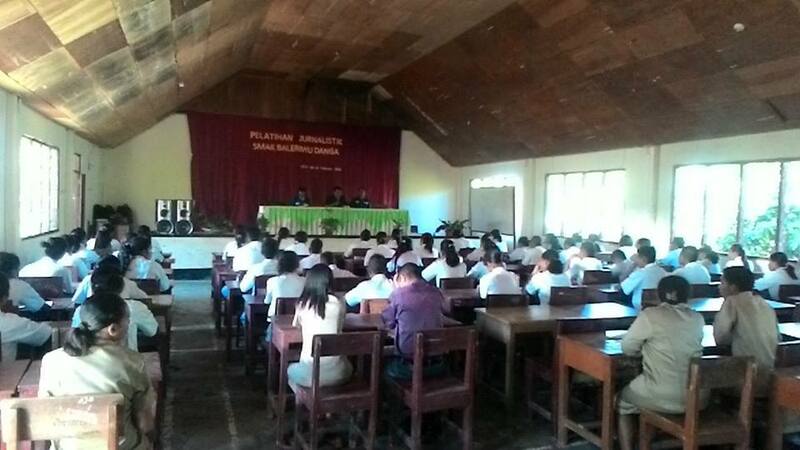 In that regency, the formation division team of Media Pendidikan Cakrawala NTT held a writing training in SMAK Baleriwu, Danga. 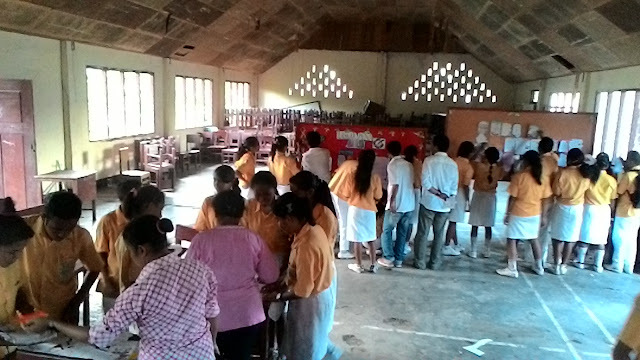 As same as the training held in Golewa, the training in SMAK Baleriwu also held for the teachers and the students. 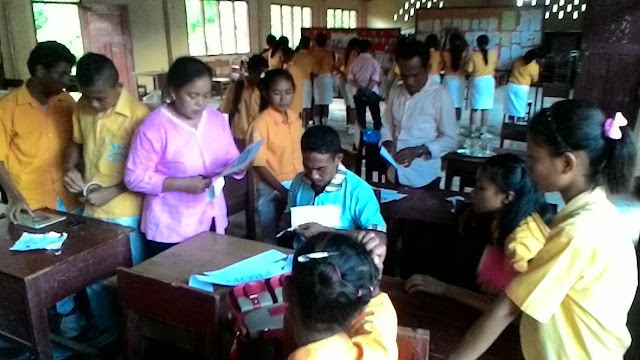 The teachers were given a material about popular scientific paper and the students learnt about journalism. 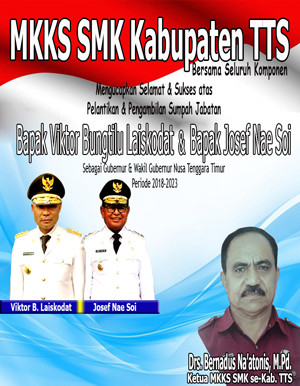 Furthermore, the members of formation division team who gave the training were Eddy Lamawato, SS, M.Si and Robert Fahik, S.Fil, M.Si. 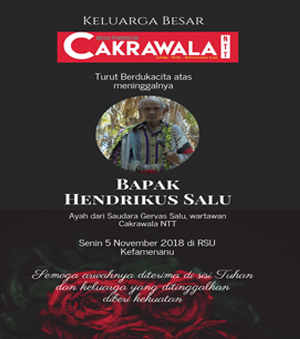 Novensius Filemon, the journalist of Media Pendidikan Cakrawala NTT in Ngada Regency and Firminus B. Azi, the journalist of Media Pendidikan Cakrawala NTT in Nagekeo Regency also took part in that training. Eddy Lamawato, SS, M.Si, the member of formation division of Media Pendidikan Cakrawala NTT gave a journalism material for the students of SMAK Baleriwu on February 10, 2016. The students of SMK Baleriwu-Danga, Nagekeo Regency expressed their idea in writing poem, article, short story, etc. 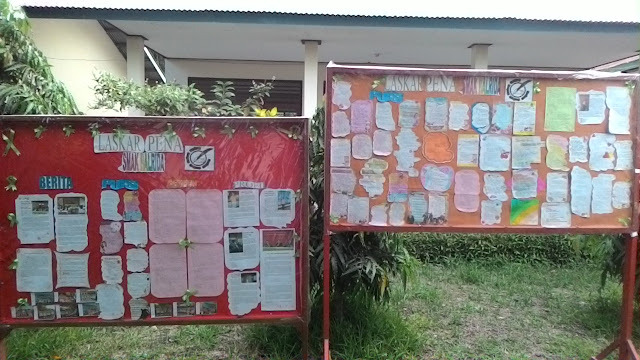 All of the Students' writing published in their wall magazine. 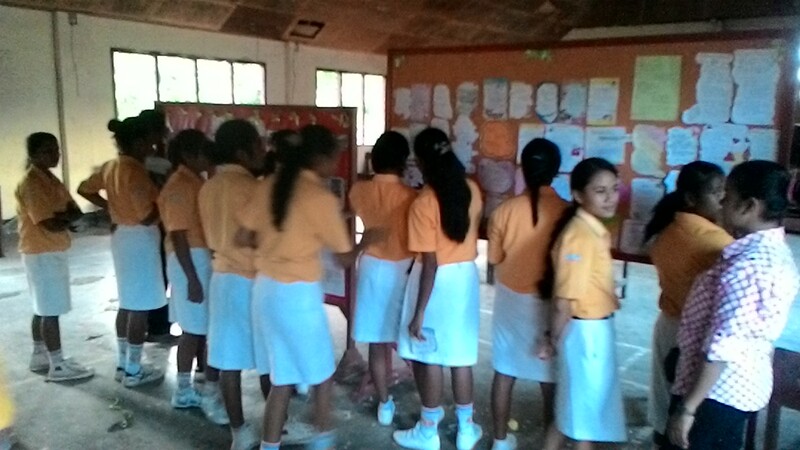 The name of their wall magazine is "Laskar Pena Balrida."